Natures Elements, online herbal supplement retailer, is broadening their online presence with social media. The initial venture with Facebook will allow a closer relationship to develop with their customers. They can now provide a discussion forum to open up communication among current he shou wu customers and new potential prospects. I have used these vitamins for quite a while now and they work. My hair is still graying but it's GROWING! LOL!! Thank you so much! - Donna A.
Natures Elements has provided customers with high quality herbal supplements for years with continued success. Some of their current products include He Shou Wu, Advanced Shou Wu and Maca. 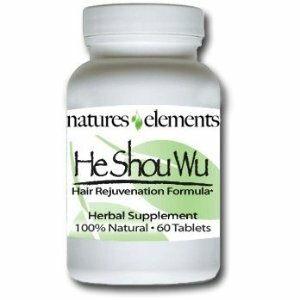 He Shou Wu is a high potency 12:1 extract that is known to stimulate hair growth and help reduce gray hair. This ancient Chinese herb has help thousands of users improve their hair and in turn their confidence. 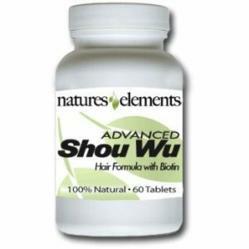 With He Shou Wu helping so many users, Natures Elements developed Advanced Shou Wu. This enhanced version offers users the same 12:1 extract of He Shou Wu and combined it with 10 additional hair nourishing vitamins and herbs. Making Advanced Shou Wu an all around vitamin/herb formula for healthy hair. Peruvian Maca is another popular supplement that helps combat the difficulties of aging such as menopausal symptoms and decreased sexual function. Maca is also available as a powerful 12:1 extract. Natures Elements has many reviews posted on their website detailing the positive results associated with these products and many more. Now with the launch of their Facebook campaign they will have another platform to share these reviews and success stories. They can keep customers informed of upcoming promotions and new product releases as well.